Red horsechestnut (Aesculus x carnea) is a medium sized tree. It has an attractive, naturally pyramid-shaped form when young and glorious, large palmate leaves. Red horsechestnut info recommends caution when using this plant in the landscape due to its rather messy, poisonous seed pods. In spite of this caution, the plant produces an intense hot pink show in late spring, making it a standout plant for early color. Some further information on how to grow red horsechestnut can help you decide if this plant is right for your home garden. 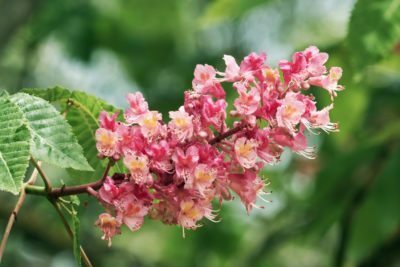 What is red horsechestnut? Red horsechestnut is a hybrid of two common species of Aesculus. This spring bloomer is deciduous, but the large leaves have little interesting fall color. What it does have is an early season show of deeply pink-red panicles comprised of clusters of small flowers. These, unfortunately, become rather annoying, spiked fruits that may pose a litter problem and should be kept away from children and animals due to their toxicity. In spite of this, red horsechestnut care is minimal and it makes an outstanding shade tree. This tree likely was the result of a wild cross through insect intervention in 19th century Germany. Red horsechestnut grows 30 to 40 feet (9 to 12 m.) in height when mature with a similar spread. The early spring blooms are held on terminal panicles which may measure 5 to 8 inches (13 to 20 cm.) long. These are extremely attractive to butterflies and hummingbirds. The tree has a broad range and is hardy to United States Department of Agriculture zones 4 to 7, making it a cool region specimen. Fruits are oval to round, hard when ripe and brown with dark glossy seeds. They are of interest to squirrels and other mammals but poisonous to humans. When growing a red horsechestnut along streets, the nuts can create quite a litter problem. Choose a full sun to light shade location. This tree performs best in consistently moist soils but require excellent drainage to prevent root rot. Soils that are on the acidic side promote the best health. The trunk is prone to cracking when in full sun. Retaining lower branches to shade the trunk can prevent this. This tree is perfect for urban spaces with supplemental irrigation in summer. It is also tolerant of wind, drought when established, salt and summer heat. Interestingly, propagation is from seed, unlike most hybrid trees, as well as grafting. Growing red horsechestnut as a screen, parking strip plant, and even a large container specimen are recommended. Red horsechestnut has few pest or disease issues. In fact, it is less prone to leaf scorch and leaf blotch than Aesculus hippocastanum. Young trees benefit from pruning to promote a strong scaffold structure. The slow growing plant will also form dropping branches as it matures, which will require pruning to maximize maintenance under the tree and clear the way for pedestrians. Young trees may form several trunks but the tree can easily be trained to just one sturdy leader. 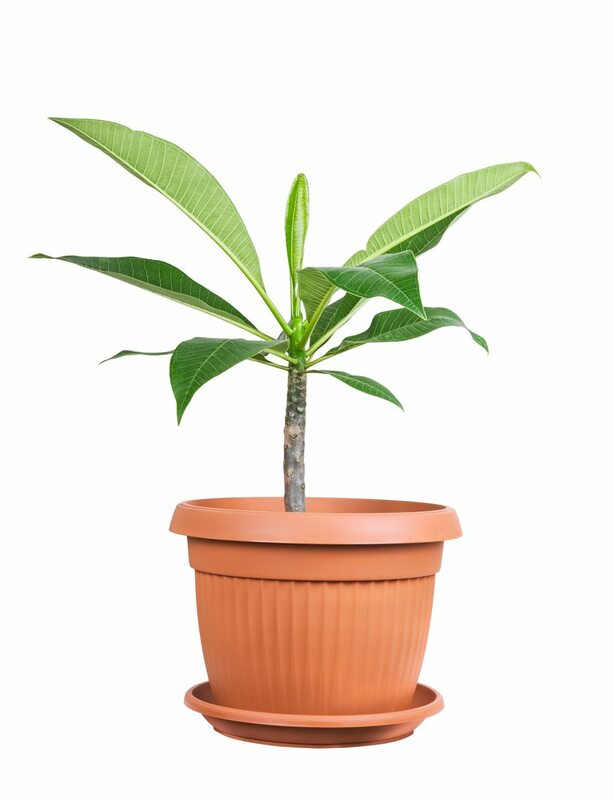 There are several cultivars of this easy-to-grow tree. Try ‘Briotii’ for huge deeply red flowers and no fruit. Double red blooms form on ‘O’Neil’s Red’ and ‘Rosea’ has sweet pink flowers. Read more articles about Horse Chestnut.